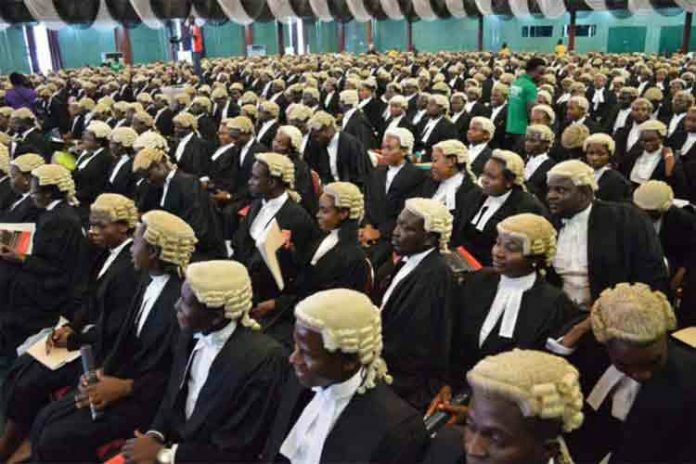 In a statement to DAILY POST by Barrister Olusegun Bamgbose, National Coordinator, COLAC, the lawyers said the President should be reminded that his lack of respect for the rule of law was capable of truncating our nascent democracy. The statement added, â€œThe purported suspension of Onnoghen as the Chief Justice of Nigeria by President Buhari, is undoubtedly unconstitutional and unacceptable. Itâ€™s a complete show of shame. â€œThe reason given by the President that he was ordered by the CCT to wield the big stick is legally and morally watery. Itâ€™s unreasonable and illogical. â€œIt has become very obvious that the President does not have any iota for the Supreme law of the land which is our Constitution. â€œThe President has resulted to self-help in dispensing justice. The President should, however, be reminded that his lack of respect for the rule of law is capable of truncating our nascent democracy. â€œJudiciary is a noble institution and we will never for any reason permit anyone to desecrate and decimate it. The Constitution must be respected at all times. â€œThe President has really crossed his boundaries and must be brought to order. His action as President will certainly overheat the polity. â€œWe as Lawyers will not allow him to have his way this time around. We are giving him 7 days to rescind the decision or we shall do the needful. â€œOther things being equal, Nigeria will be clocking 20 years of practising democracy in Nigeria and any attempt to subvert democracy will be totally resisted.